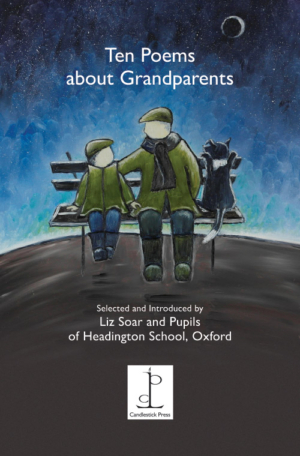 The latest title from Candlestick Press is something of a departure: all the poems have been chosen by pupils at Headington School and the selection includes contributions written by the students themselves and by their English teacher, Liz Soar. The pupils were diligent editors and their choices reflect the multicultural world in which they are growing up. There’s a poem in three languages about a joyful reunion with a grandparent arriving from overseas and another in which a Muslim grandmother raises eyebrows in a posh department store by washing her feet in the sink in the ladies’ room.